Self-employment teaches people lessons of independence and accountability that can’t be learned any other way. Combine these lessons with a solid education, and you’ve got everything you need to start a successful small business. At ChooseWhat, we believe in both small businesses and the power of education. That is why we created a scholarship specifically designed for students with self-employment experience and aspirations. We are thrilled to announce the winner of the second biannual ChooseWhat Scholarship for Students with Self-Employment Experience: Mr. Davis Carl Johnston. Often, I had to turn down invitations to be with friends, so I could get my job done as well as fulfill my other commitments. Now, in college, I have to balance my classes, homework, and campus job with my social commitments and club responsibilities. My previous opportunities to learn prioritizing responsibilities with the lawn business, school, and activities have enabled me to be successful doing it in college, too. In addition, Johnston learned the power of budgeting, saving money, and investing in equipment for his business, which in turn helped him to save and budget for college expenses. 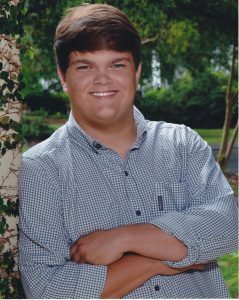 Congratulations to ChooseWhat scholarship winner Davis Carl Johnston!